Oh! ye of little equine faith ...! I’m Kurt Gänzl. For many years, I worked in London’s West End as an agent and a casting director on shows such as Barnum, 42nd Street, Chess, Singin’ in the Rain. But one of my other functions was to read musicals. Musicals which were sent in to the office, in the hope that my employer, the great Harold Fielding, would produce them. For more than ten years I read. More than ten years I went to see tryouts of hopeful shows, all round England and as far afield as San Diego, USA, and in those ten years how many good, unproduced shows and sketchily staged shows did I find? None. When I retired, in 1989, the last submitted show the office had accepted was a little piece called Jesus Christ Superstar. I retired to write books, in the South of France, and my theatre-going shrank. People still sent me shows, libretto and scores (they still do!) but it was the same thing. Nothing. In recent years, I have made my main summer home in Berlin. There, of course, my concert- and theatre-going took on a new lease of life. Once again, I was mixing with theatrical people, once again I was reviewing performances and, too late, discovering that there was and is real talent in today’s world of writing musicals. I knew within half an hour that I’d found it. That thing I’d looked for in England all those years. A musical with everything … Sitting alone in my flat, opposite the house where Christopher Isherwood wrote I Am A Camera (Cabaret), I was in tears, as the show, Fairystories, reached its beautiful denouement. Why was this show not being produced? Yes, it had won prizes, yes it had been work-shopped in America … but they did Hello, Dolly instead. Oh, why wasn’t I still in the business. Things have moved on since then. 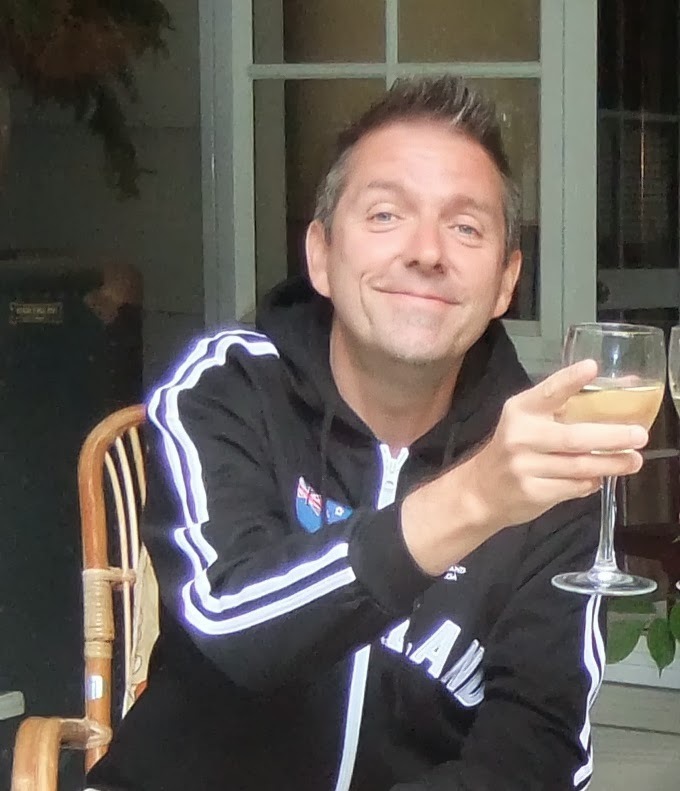 Paul Graham Brown (who is actually an exported Englishman) has become recognised as one of the outstanding writers of musicals in Germany and Europe. This year, he will have five different works in production, including the musical of Superheroes, the Anthony McCarten hit book and film, and the umpteenth restaging of his hilarious King Kong … with a cast of three. But Fairystories is coming to New Zealand. I talked about it, played it to folks, invited “PGB” to Christchurch, to speak to the students at NASDA … and his music started to go the rounds, to get heard and known. 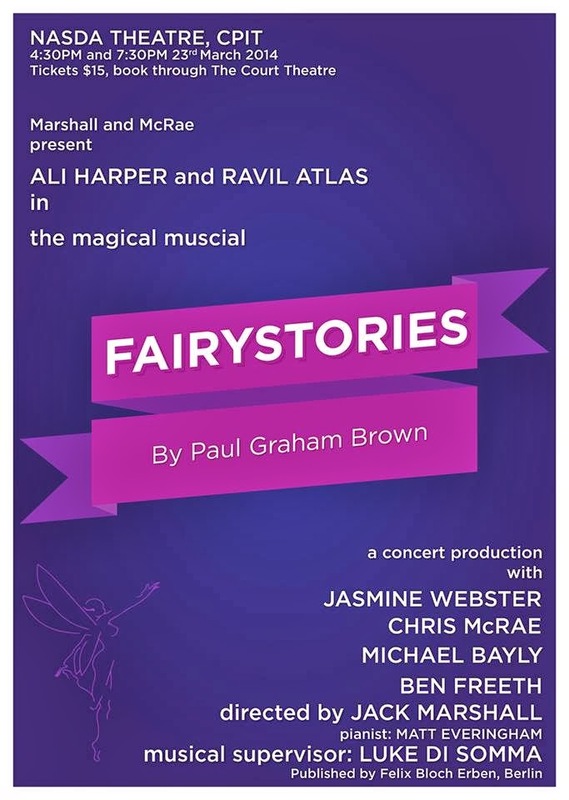 And one day my facebook tinkled: Messrs Marshall and McRae, of NASDA and the Court Theatre, would like to know if they could get the rights to do Fairystories. Yessssss! 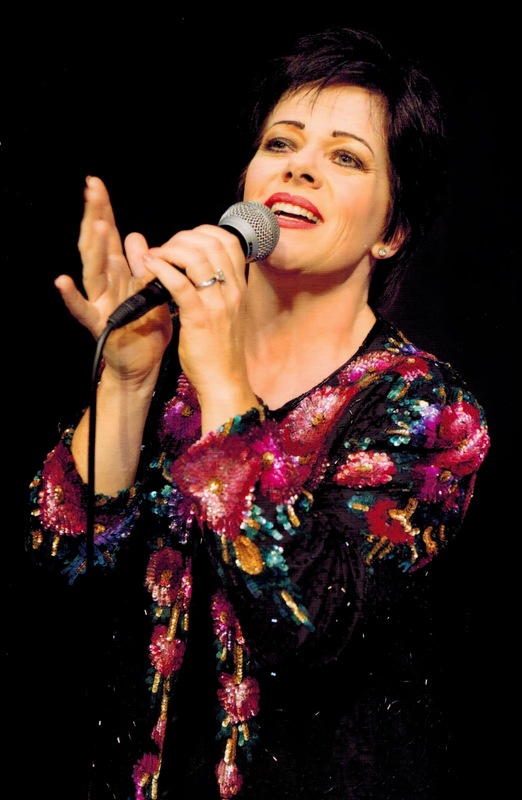 And so, on 23rd March, Christchurch will get the chance to hear PGB’s magical musical, in a concert performance, and with a stunning cast headed by New Zealand’s show diva, Ali Harper, and former San Francisco Jean Valjean, Ravil Atlas. A week later I head back to Berlin, leaving New Zealand with my magical musical … while I go, of course, looking for more. Once a talent scout, always a talent scout! 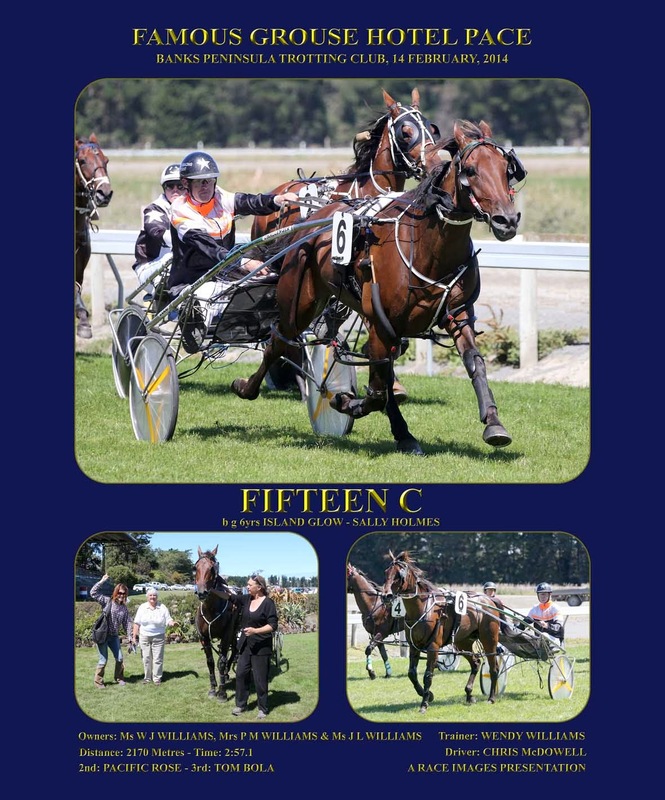 Wendy and I have been racing and breeding harness horses from our little farm in Sefton, NZ, for over ten years now. Not all that many horses, and not all of them ours, but there have been a few wins and a few winners along the way for the born-at-Gerolstein brigade. However, this February has turned out to be a thrilling double whammy for us. Within a fortnight, two of our Gerolstein babes have notched up wins: one on each side of the Tasman Sea. 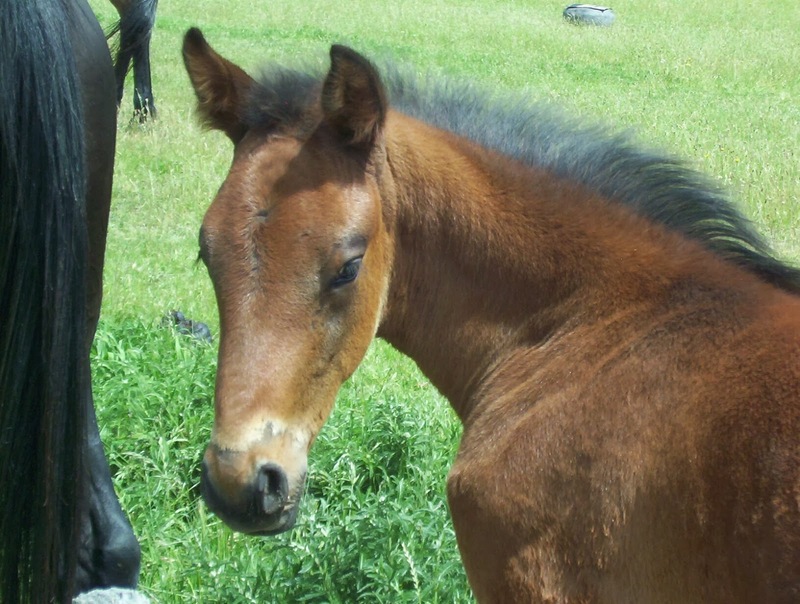 First, there was Mikey: the third foal of Wendy’s mare, Sally, to be born here. Ned, the first, didn’t manage to win; Rose, the second had a malformed leg, but Mikey (Fifteen C), as I’ve related at length, made it to the winner’s circle at Motukarara this St Valentine’s Day. Sally is nineteen, and retired as a mother now, but she has two more babies here learning the trade: Thomas (3) and Johnny Molecule (2), who we hope will add to her maternal record of 8 New Zealand and 50 Australian wins. 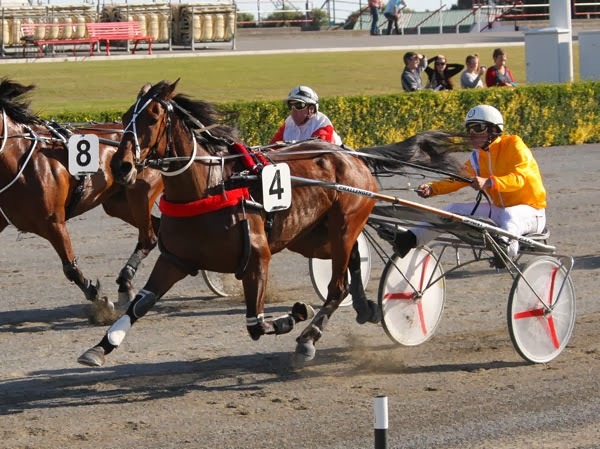 Then, yesterday, at Menangle, Sydney, came the race that ‘broke our record’. Gwen is ‘only’ eighteen, and she had three unsuccessful babies to start her career. Well, one nutty and two which qualified but never raced. Then came Seppl. Bred from the unfashionable Wrestle for $600. Seppl has turned out to be the best horse I have ever bred. He raced 27 times, for 5 wins and 9 placings in New Zealand before, alas, I was obliged to sell him to Australia. Obliged? Yes. Seppl is a good horse, a grand wee horse, but he is not a champion, and here, if you’ve won five races, you are expected to race against the champs. Sad, but New Zealand is a small country, Christchurch is a small town, and with 5 up you’ve got to export, either to Auckland, where the racing is less competitive, or to Australia. Then, a few weeks back, came a glimmer of things past when, not over a mile and not from a mobile start, he ran a fine second to the considerable Aldebaran Sunstar after careering along in front (which he loves) most of the way. Hope! But alas, next out, he came up against one of the very horses he’d crossed the Tasman to avoid. Even a champ like Flying Isa was getting away from Kiwi racing! Seppl made his usual fast beginning, but Flying Isa soon took over. Seppl tried to go with him, but it was too much, and he faded in the last furlong to fifth. Hope dented. And like Mikey, Sepp has back up. His 2 year-old brother, Montmorensy, also a Gerolstein babe, went to the trials for the first time this week. He hit a couple of Flying Isas, but he ran stoutly for third. Watch this space! So Mikey, the horse, went to Bank’s Peninsula today. Pretty place. Not a madly hot field, largely consisting, in fact, of horses he’d beaten in his last two starts, but the tipsters, as usual, reacted scornfully to him. Or maybe to us: our tiny stable. Fifteen C? Island Glow-Sally Holmes? Not one of them (actually, I suspect they are all the same person) picked him to come in the first four, in spite of his last run. I rushed back from shopping for tomorrow’s birthday (mine) and an acupuncture session (Wendy’s, until we knew it was race day) … unloaded a bootful of booze and chicken … and then it was time for the tellyversion of Mikey’s race. He looked right cool walking round at the start. He gets on so well with Chris (McDowell), our accidental driver. But he didn’t sprint out with too much glee, and didn’t make it to the front. He sat parked outside the leader (not good), until the wretched Willywinit (which buggered us up once before) zoomed past, and Mikey and Chris dropped into the one-one. Oh gosh! Behind an 80-1 shot … death, destruction, smother time! … but Willywinit managed to keep going long enough, and they weren’t coming from behind, so the way was clear for Mikey to swing out—three wide – as they came round the turn. He won. Mikey won. Mikey who nobody thought would do ever better than 10th. He won. His form line reads 421 … and they still won’t like him. Anyway. Glorious happiness at Gerolstein, rejoicing in Bratislava, Juneau Alaska, Wisconin, and in the four corners of Germany, where the Mikie fan-club lives. And several fingers to the tipster, whoever he may be. Even little folk can win a race. Even with a 6 year-old Island Glow gelding. I’m too happy to waste time on the unbelievers. See my blog of a month ago. I’m waiting for Wendy, Yoshi and Mikey to come home. The chardonnay is on ice! Every time I’m in New Zealand, my friend ‘Richard the Music’ swoops down from the Cashmere Hills and carries me off to a splendid evening of dinner and theatre. Usually, it’s a NASDA show or the Court Theatre, and inevitably something musical. Pretty often, with him as musical director. I haven’t been to the Court since last year’s highly enjoyable Grease – this year, the seasonal offering was a mashed-up Mikado which all my pals forbade me to go near, fearing for my health and sanity. But tonight, I got there. The End of the Rainbow isn’t a musical. It’s a play with incidental music and song fragments. Fine. But it’s based on an incident in the life of … Judy Garland. With Judy played by a woman. Now, if I detest deconstructed G&S, I have to admit that Ms Garland is probably my showbusiness nadir of nono. I didn’t like the lady as a performer, didn’t like her voice, was exasperated by her well-exposed life story, and the dislike has only increased in the years since I saw her (but not her show) in London in 1969 via the multitude of impersonations. Richard gulped, but said ‘you must come, it’s so well done’. So I did, and it was. Peter Quilter’s play itself is a bit of a mixture. Impersonation (necessarily) and imagination (more happily). The first act is rather wearisome. A series of tantrums and one-liners interspersed with chunks of Garland songs. I guess it aims for something like reality. The second act is excellent. You actually forget – thanks to a splendid imaginary character of the lady’s gay pianist, with dialogue touching and funny – that madame is supposed to be Garland. She’s just a screwed-up ridiculously vulnerable drug addict. It’s a play, not an impersonation any more. Except, of course, there are the songs. Exceptionally well done. And that’s what made my night a successful night out. Well done. Eilish Moran as Judy was truly excellent. Yes, made up as a very convincing sosie of Garland, she had the problem of having to ‘impersonate’ like any drag queen, but she invested the role with a warmth and a naturalness, sufficient and not too much accent, and a very fine, free, unpretentious singing voice which freed her role from the taint of impersonation and towards a real acting performance. I actually liked her singing better than Garland’s: warm, incisive, unslick and totally uncamp. A first-class performance. The other star of the night had the advantage of playing an imaginary character. 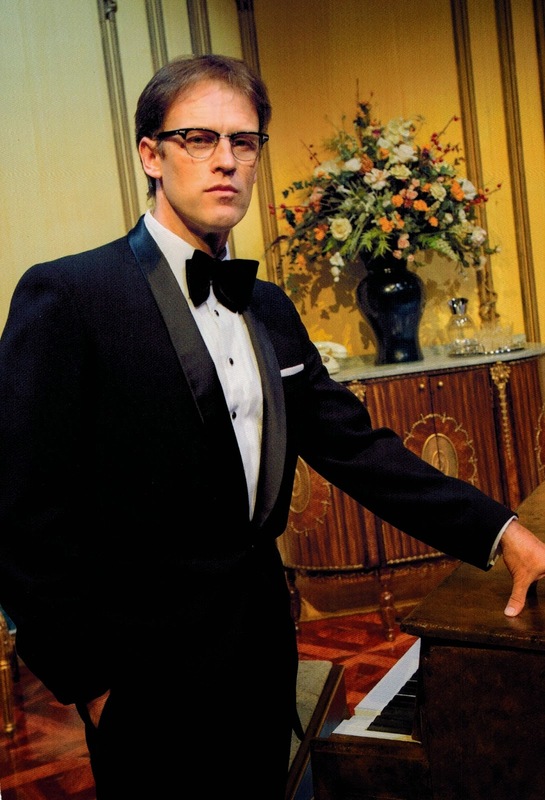 Roy Snow as the brittle, but gentle and loving, pianist, Anthony, pulled all my sympathy and all my laughs. The part is extraordinarily well-written, and Snow got every inch of mileage out of the heartfelt but wisecracking script. I liked his performance hugely, and if I were awarding my famous Kurts in New Zealand, he would definitely be a nominee. Writer and actor came together in something really special. Kevin Keys played the two-dimensional Mickey Dean, and Sam Mannering completed the team with a nice cameo as an interviewer called Ronald. The direction (Yvonne Martin) of the piece was grand. The sort I like best. Direction that makes you forget the piece has been directed. The set was useful and not distracting: particularly effective when a super little jazz band was swung into the forefront in the theatre scenes… I wish they’d played in the interval! Well, Richard was right. If you like the play, like Garland, it is a splendid night out. The SRO house (400 seats) – mostly filled with grey-haired ladies with walking-sticks and a sprinkling of gay couples – certainly enjoyed themselves. Me, I’d give the noisy act one 4/10 and the deeper act two 9/10, Miss Garland’s story still bores me to sleep, but I loved Ms Moran, loved Antony, loved the band, and, yes, I had a good night out too. PS Note to Court Theatre General Manager. I know you’re only in ‘The Shed’ temporarily, but the steps and the seating are a nightmare for elderly, handicapped gentleman. No rails, no exterior aisles … and I came without my stick. More fool me. I blocked the traffic for minutes! PPS a thought. I see New Zealand has Quilter-mania. His Florence Foster Jenkins play Glorious is heading for Dunedin! Who next? Elizabeth Taylor? Carl Channing? Charles Pierce? After his dogged effort at Banks Peninsula, he had a couple more runs of a similar calibre. Once, he had to start from the second row, which is a considerable handicap for a fellow whose lightning start is one of his best trumps. Then, last week, Wendy and Yoshi took him way down to Orari. A nice meeting, a nice track, where he ran one of his best races so far, last year. Orari is too far, too long a day, for elderly handicapped gentlemen, so I stayed at Gerolstein and watched on telly .. The girls came home triumphant. Mikie had got a cheque. $259.75. Well, that’s what stakes are like in New Zealand. After a brilliant beginning from the outside 10 draw, he had run near the front all through the race (‘parked, without cover’) and held on for fourth. At last, at his fifteenth start, Mikie had won a little money. Was it a flash in the pan, or could the dear boy give us even more fun than we had hoped for? Today we and he went to the annual Amberley meeting at Rangiora. There it was, three years ago exactly, that Gerolstein last won a race with The Soldier Fritz. I wasn’t there: I was lying on my LazYboy after escaping from hospital following my stroke. But today, I was indeed there, hobbling on my cane. When I looked at the field, I thought, oh yes, not a hot lot, Mikie can get another cheque if he’s nippy. But when the tipster’s Trottech report came out, he was utterly dismissed, when the betting finished he was rank outsider. Nobody, it seems, loves Mikie. Except us. And Martin and Lisa and the reat of his overseas ‘fan club’ ... and Chris who drives him. He drew 10 again. Practically, as they say, ‘in the carpark’. ‘Yikes’, I said to Chris, ‘you’ll need to get away as well as at Geraldine’. ‘Better’ he smiled. And he delivered. Mikie, the big outsider, shot from the car park straight into the lead. He led for half a lap, and then the day’s hot tip, Majestic Bardon, an unknown from a fashionable stable, zipped round and took over. Mike stuck to its back like blutack. And, as they came round the home bend, it looked clear that nothing behind them – all the hot tips and heavily backed horses – had much puff left. Majestic Bardon wasn’t stopping, but neither was Mikie. The rest of them were! He was 2 lengths behind the leader, but he didn’t give up. He pulled out to challenge ... making ground … but the hottie had it sewn up. But what??! Mikie was SECOND. He was 14th favourite out of fourteen runners on the place tote, and our faithful friends who risked a dollar on him got $10 for one for their money. But we got much more. We got joy. Much joy. Because, even though ‘everybody loves Mikie’, we love him best. We’re going to take him back to Banks Peninsula next week. I think this time the betting public might like him a little better. And that smug Trottech writer will have to swallow his sneers.